Want to see before you buy? 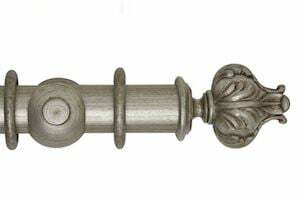 The Hallis 55mm Museum Vienna wooden curtain pole set in antique silver is ideal for heavy weighted curtains along a wide window space. This product is available in various long lengths to cater for windows in patios and for bi-folding doors. 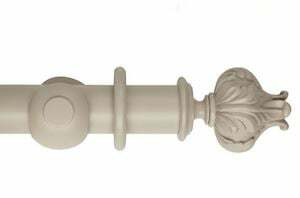 This complete pole set is supplied with the pole, finials, rings and brackets. 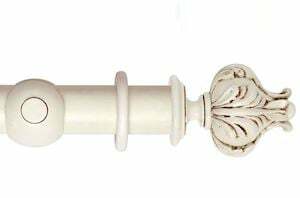 The 55mm wooden pole range is suitable for heavy weighted lined and interlined curtains of 20kg. 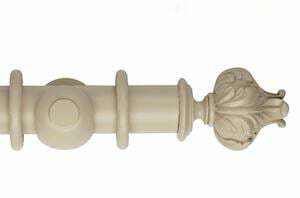 Poles of 300cm and over are supplied in 2 pieces. 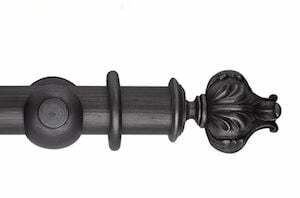 These 2 poles are connected in the middle by a joining screw and the visible seam is hidden by the third bracket. 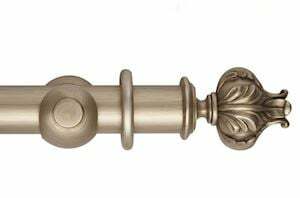 The pole remains strong despite this joint if your curtain weight does not exceed the 20kg weight limit. All poles can be cut down to size using a fine-tooth hacksaw. The number of rings will vary with each pole set. 10 rings are supplied with per metre of pole. 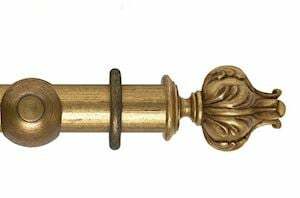 3 brackets are only supplied with poles which comes in 2 pieces. Antique Silver is the finish of the pole set and is part of our silver colour range. A sample is available for this product for you to see the colour first before committing to the purchase. 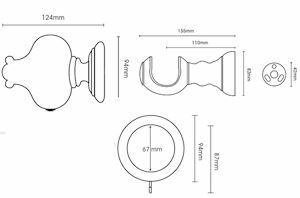 Instructions on how to assemble the Museum curtain pole set are provided with each pole pack. 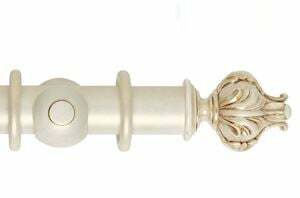 Please note that the unless specified, the colour of the curtain pole relates to the finish that has been applied to the product. It does not relate to the composition of the product. 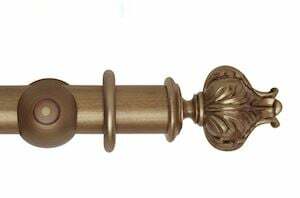 There may be differences in grain between the pole, finials, bracket and rings. All fixings are included, along with fitting instructions.